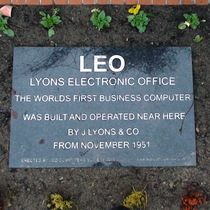 LEO - Lyons Electronic Office - the world's first business computer was built and operated near here by J Lyons & Co. 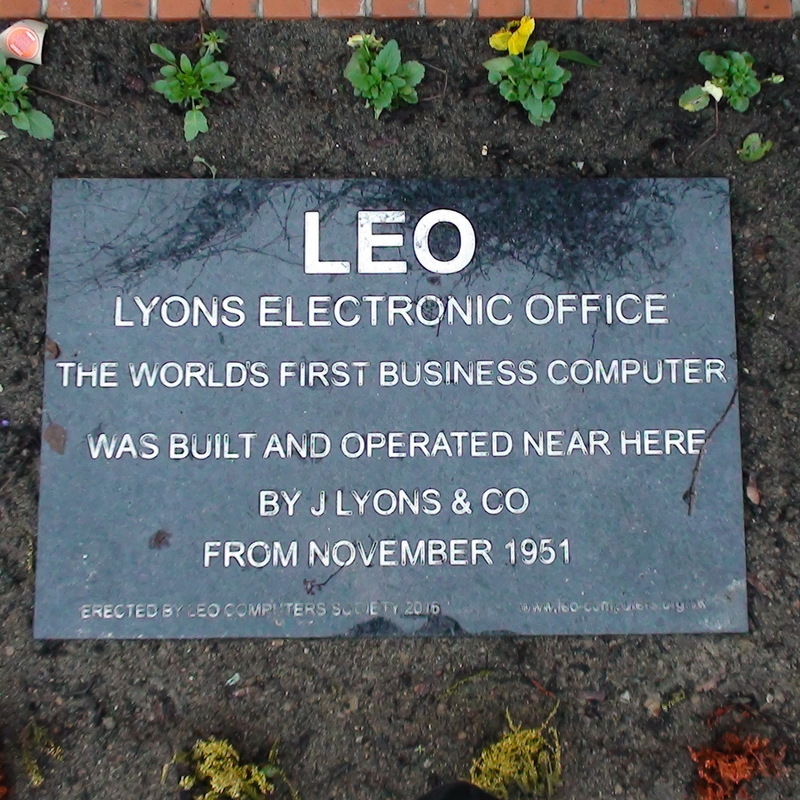 Here's the video of the unveiling timed to commemorate 65 years of LEO. We believe the computer work took place in Kaevener House, on the Cadby Hall site. Unveiled on Czech National Day.